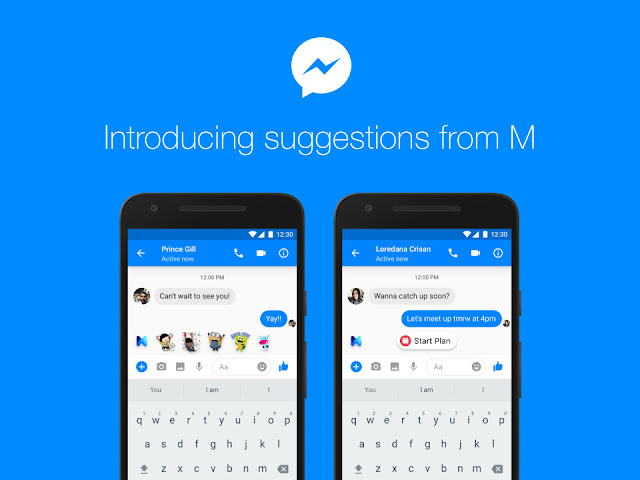 facebook: Today we’re excited to announce the launch of suggestions from M to everyone in the US. M is your helpful assistant in Messenger, powered by artificial intelligence. M offers suggestions by popping into an open conversation to suggest relevant content and capabilities to enrich the way people communicate and get things done.